This member of the Papaveraceae, or poppy family, makes its ephemeral annual appearance in the Spring. It is here pictured flowering in April, and will probably have retreated back to its thick roots before the height of Summer. 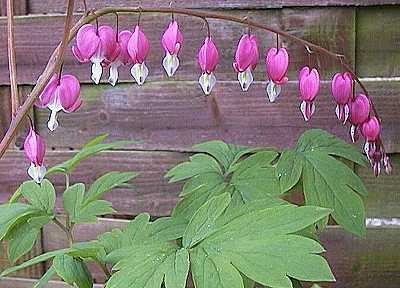 The strangely structured flowers give it its common name of 'Bleeding Heart'.